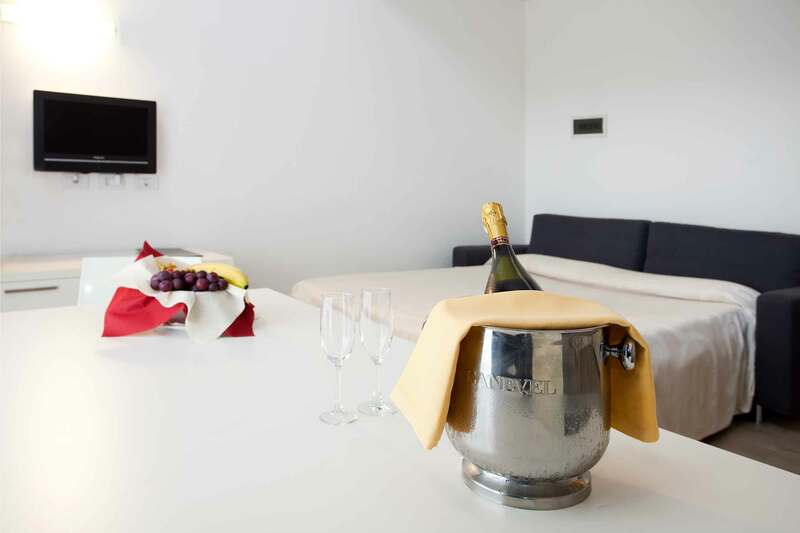 In our four-star corner of paradise in the centre of Jesolo, that is a point of reference for those looking for somewhere to enjoy a stylish, leisurely holiday, even the night times and mornings become special in rooms and suites that are all equipped with the most innovative services that are dedicated to the guests. The spacious and luminous surroundings of our 93 rooms pursue a minimalist theme, with pale colours and relaxing references to the sandy colours of seaside settings. 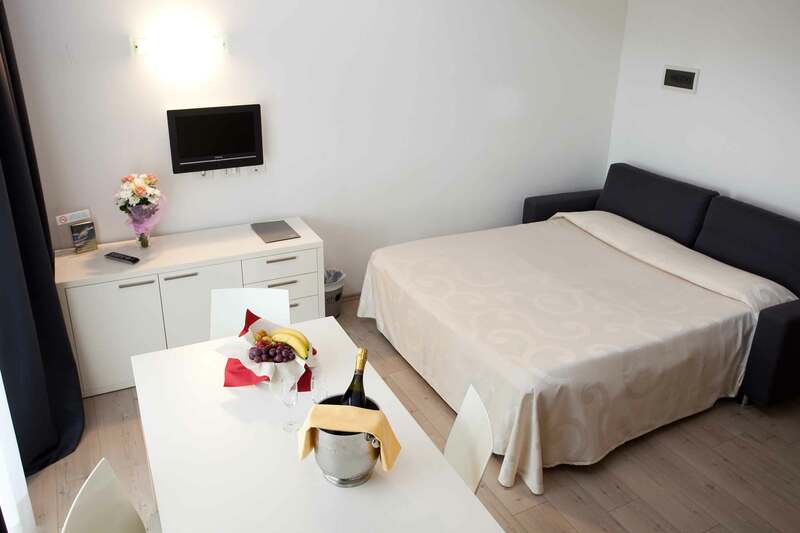 You will find conceivable thing to help you rest and relax in our four-star corner of paradise in the centre of Jesolo and to ensure you get a good night’s sleep and an even more untroubled start to your new day. 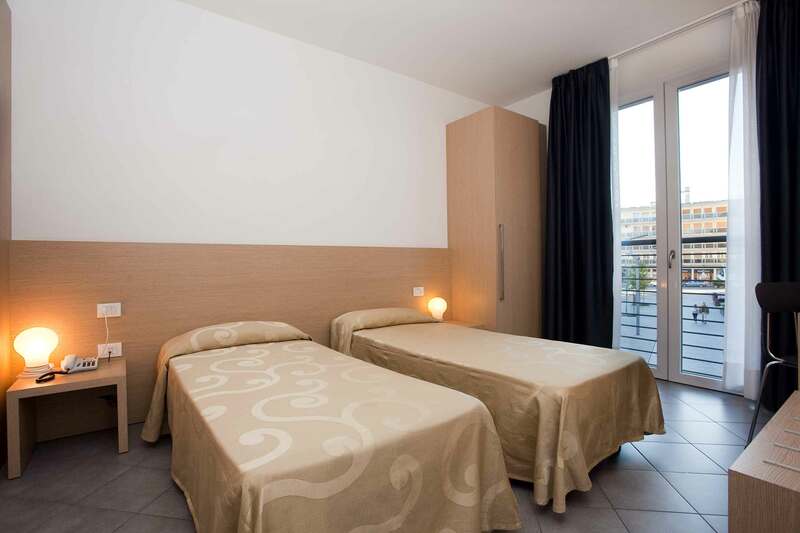 Perfectly sound proofed and thermo-acoustically insulated rooms, the rooms are blend comfort and style with the most modern services dedicated to our guests, such as independently adjustable air conditioning and heating, flat screen LCD TVs with satellite channels, telephone and safe. Should you wish to, you can also browse the Web free of charge using your smartphone or tablet, taking advantage of the hi-speed Wi-Fi connection available in all the rooms and throughout the hotel. 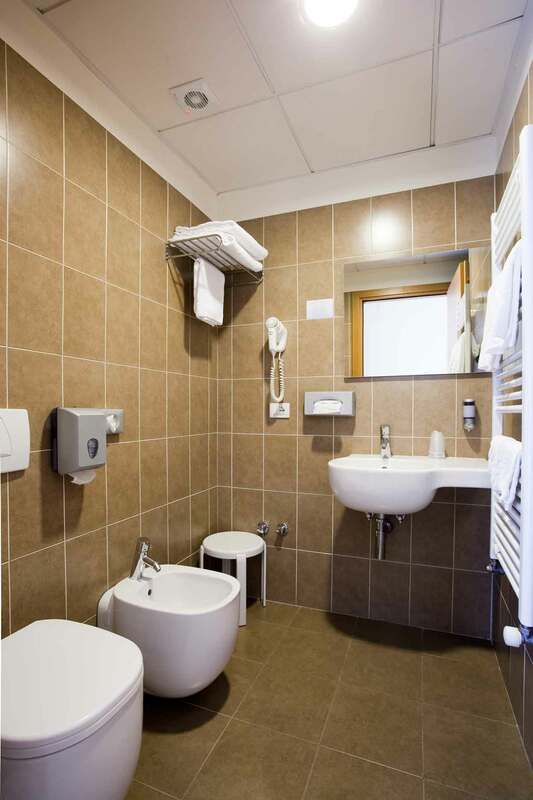 The private bathroom is roomy and includes a large shower cubicle and a hairdryer. 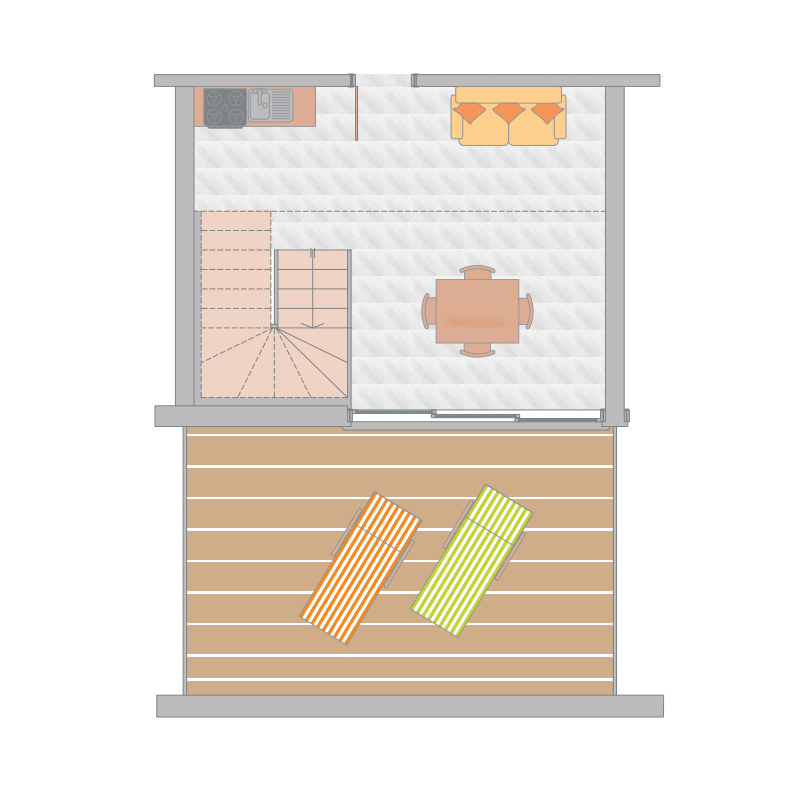 In some rooms the space also extends to the outside, where it is possible to linger on the large terrace. 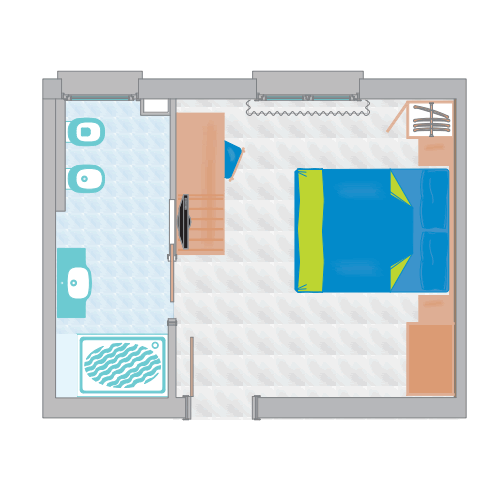 The majority of our beds (81 out of 93) measure 160 cm x 200 cm; the size of eleven beds is 160 cm x 195 cm and the sofa beds in the suites measure 140 cm x 190 cm. 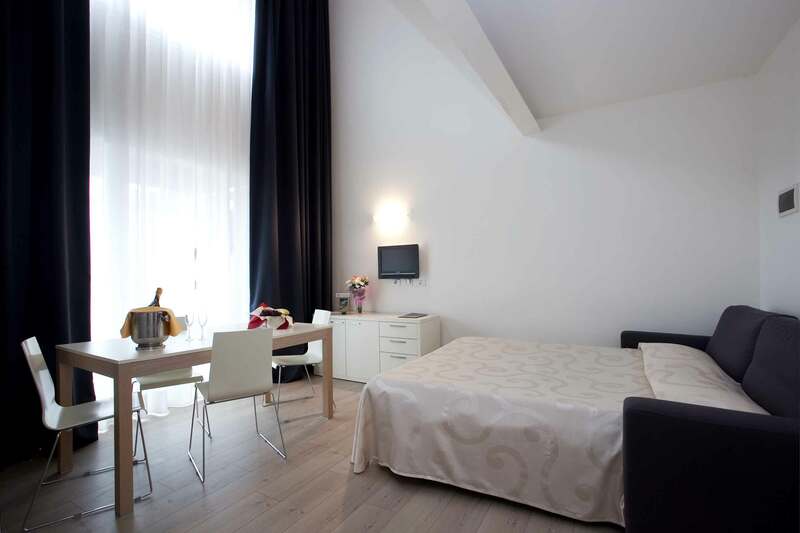 With the exception of sixteen rooms, all the others offer a choice of sleeping in a double bed or two separates. 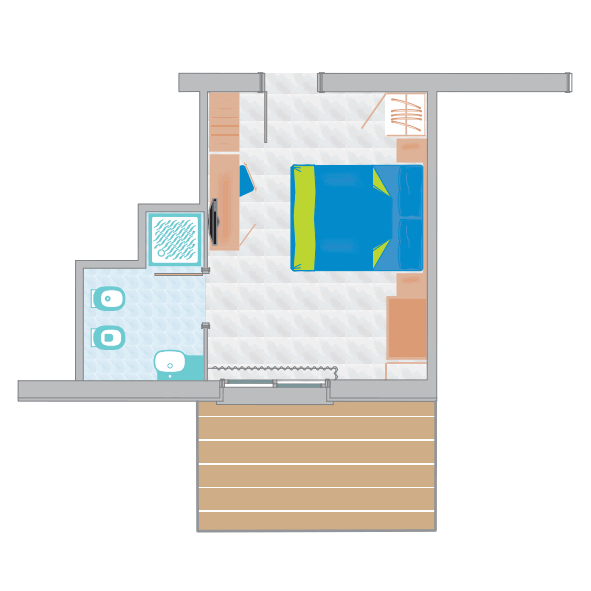 Twenty-one of our rooms offer an additional third bed measuring 80 cm x 195 cm, whilst in a further twenty-four rooms it is possible to pull out a small bed measuring 80 cm x 180 cm from the wardrobe. 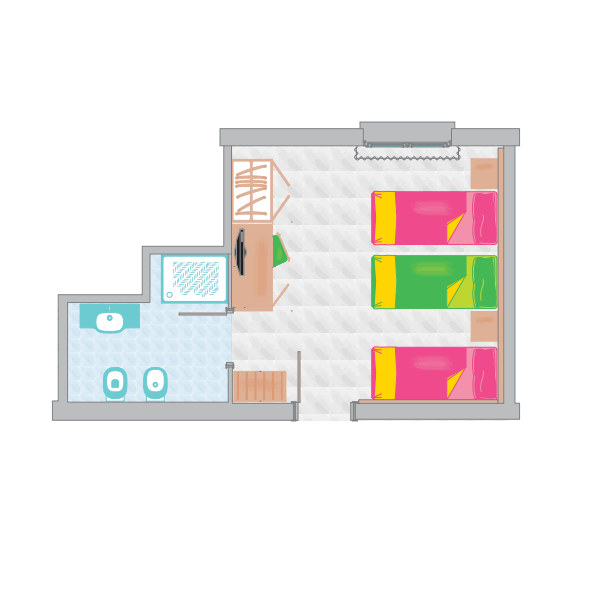 The more contained sizes of our double and triple rooms, bring you an intimate and elegant simplicity at the right quality/price ratio. 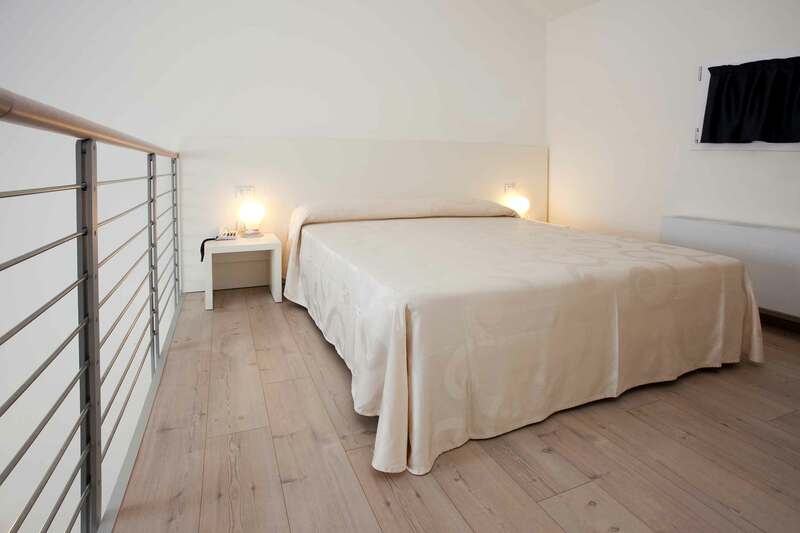 Furnished in a minimalist style, with pale hints of bleached oak, they can sleep up to three people and have either windows (on the 1st floor) or a French-style balcony (floors 2 and 3), overlooking the hotel’s internal courtyard. There is no balcony and no sea view. Third bed available, to be requested at the time of booking. 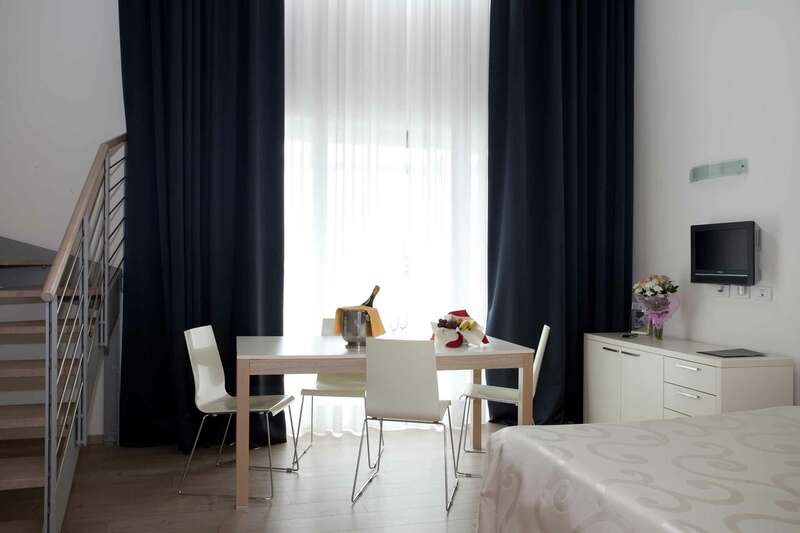 Overlooking Piazza Mazzini or the pedestrian zone of Via Bafile, these rooms, in some case are enhanced with a part view of the sea that can be enjoyed from the large private terrace. 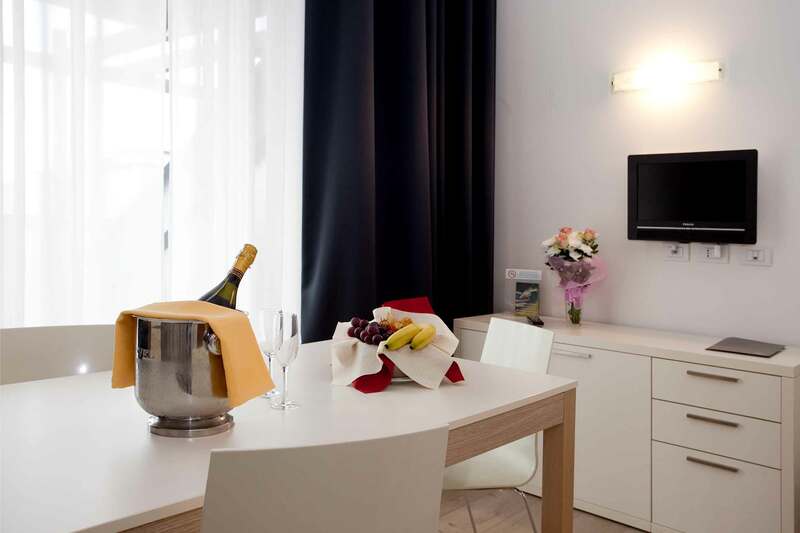 As with all beautiful things, they don’t have too many frills and are the perfect setting for those couples who never want to forgo the elegance of comfort, not even for a short holiday by the sea. 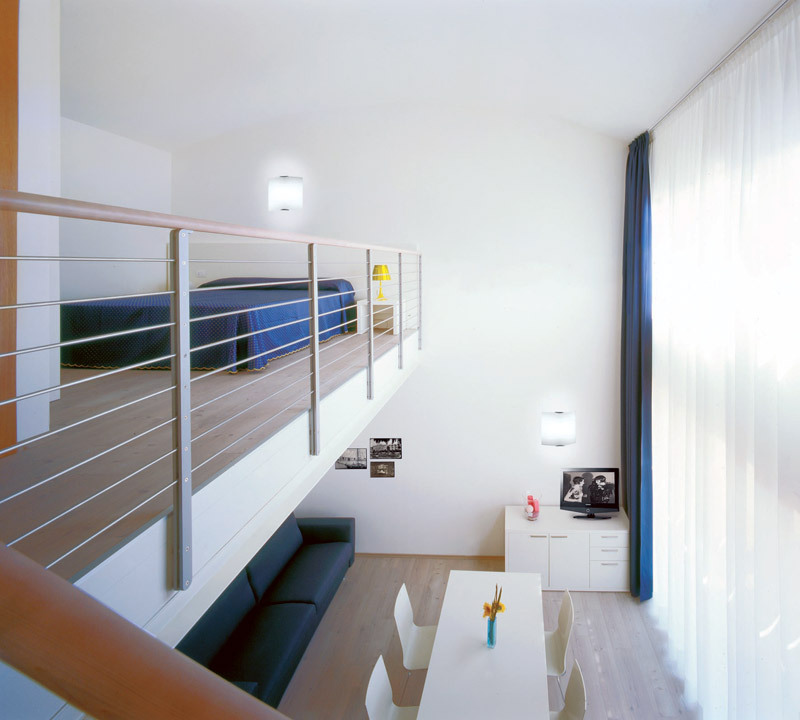 Double bed or two separates. 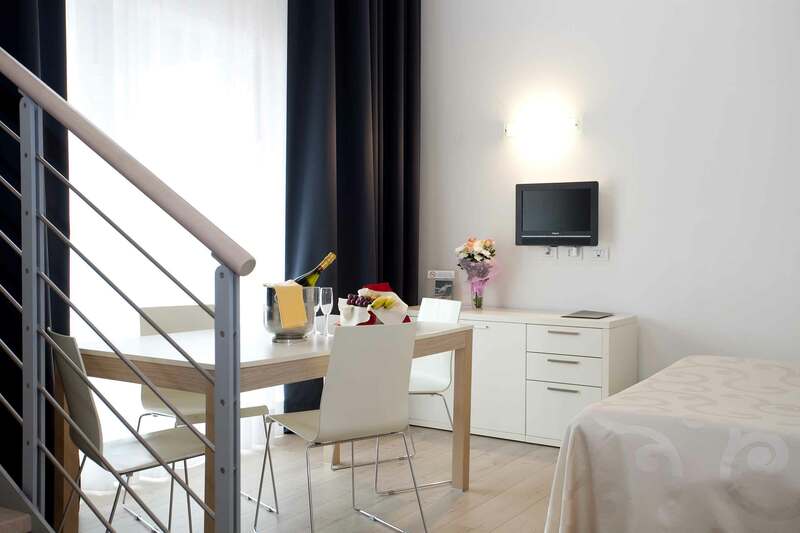 With their warm colours and pleasant furnishings, the Superior rooms have a comfortable internal morning room with a double sofa bed, kitchenette and large private terrace that offers a fine view over Piazza Mazzini. They offer the perfect solution for couples and families with small children who do not want forgo sharing a room with their youngsters. For those looking for space as well as comfort, we’d like to suggest the spacious and exclusive Two Room accommodation, veritable apartments arranged over two floors, with a large private terrace offering a panoramic view, and internal morning room and a convenient, well-equipped functional kitchenette for preparing a quick meal or delicious romantic dinners. 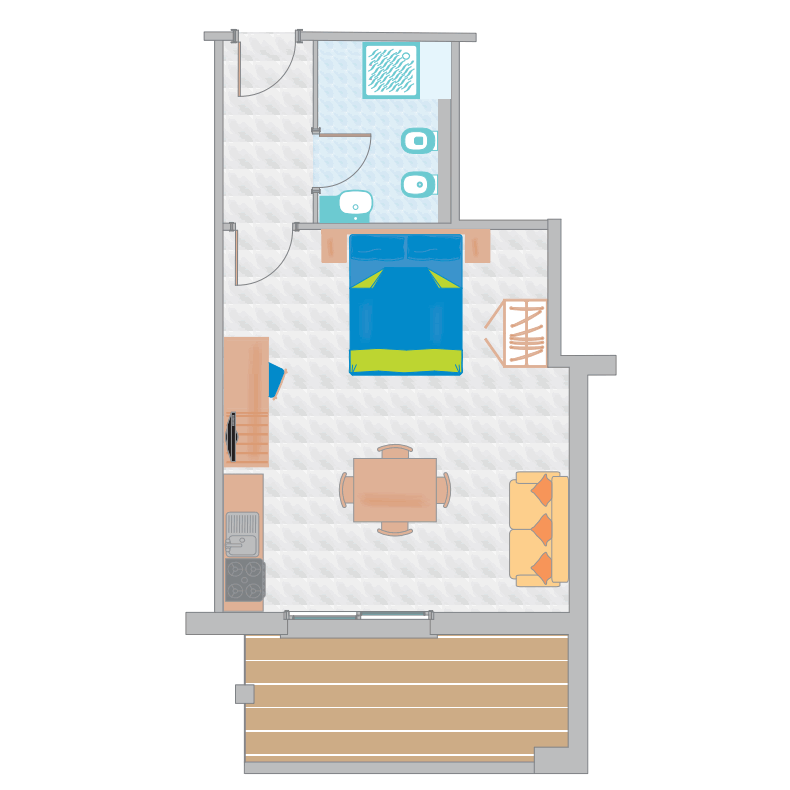 Room size: 35m2 to 41m2. 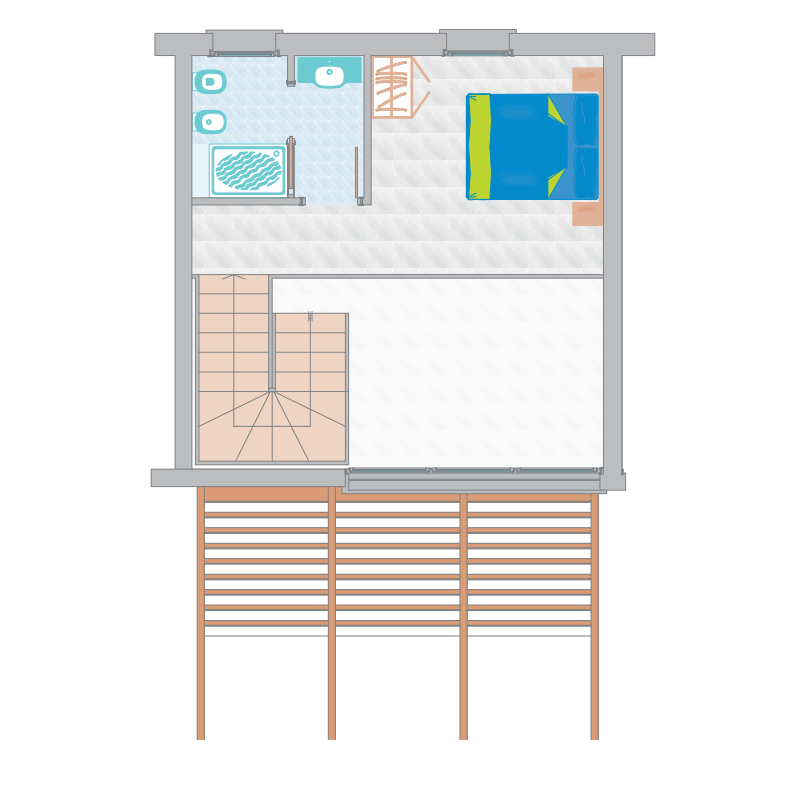 Size of balconies: 17m2 to 24m2. 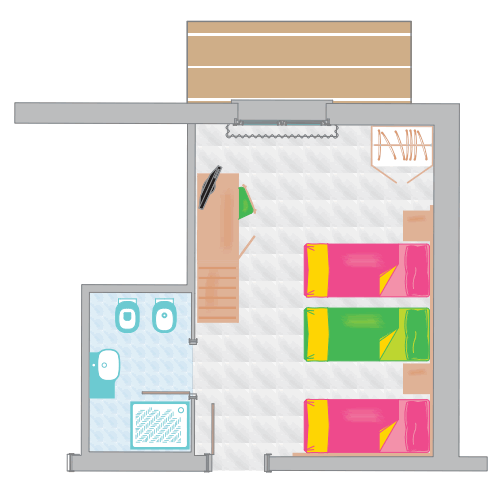 Possibility of adding a small bed and accommodating up to five sleeping places. 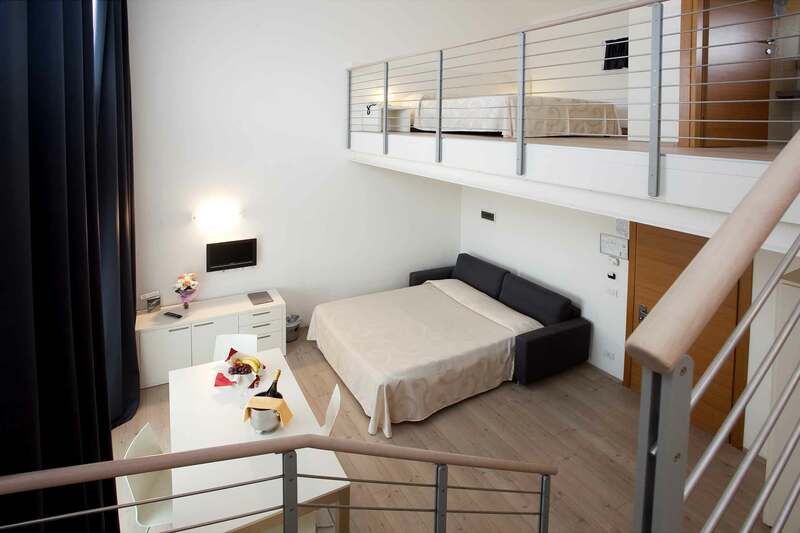 With its two terraces – one offering a panoramic view of Piazza Mazzini, the other a spectacular glimpse of the sea – this spacious 38m2 apartment, occupying one floor, can comfortably accommodate up to five people. 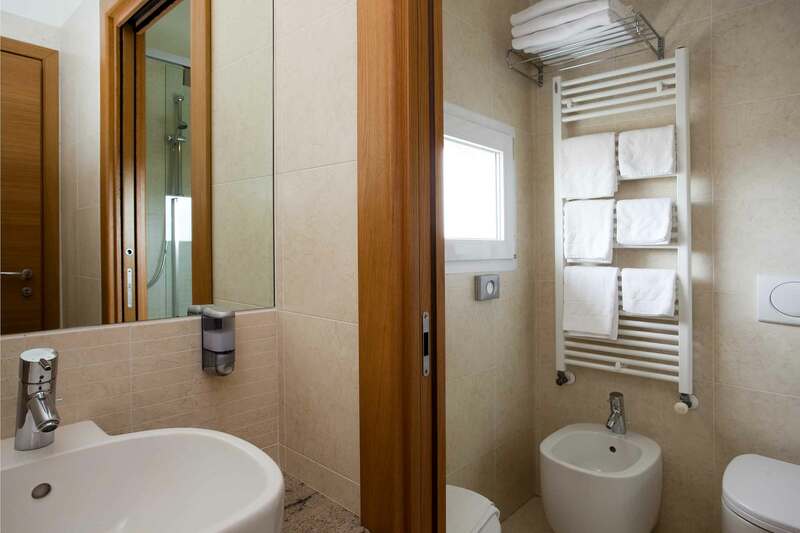 It also provides facilities for cooking quick meals in its kitchenette and for relaxing peacefully in the private lounge, with its double sofa bed. 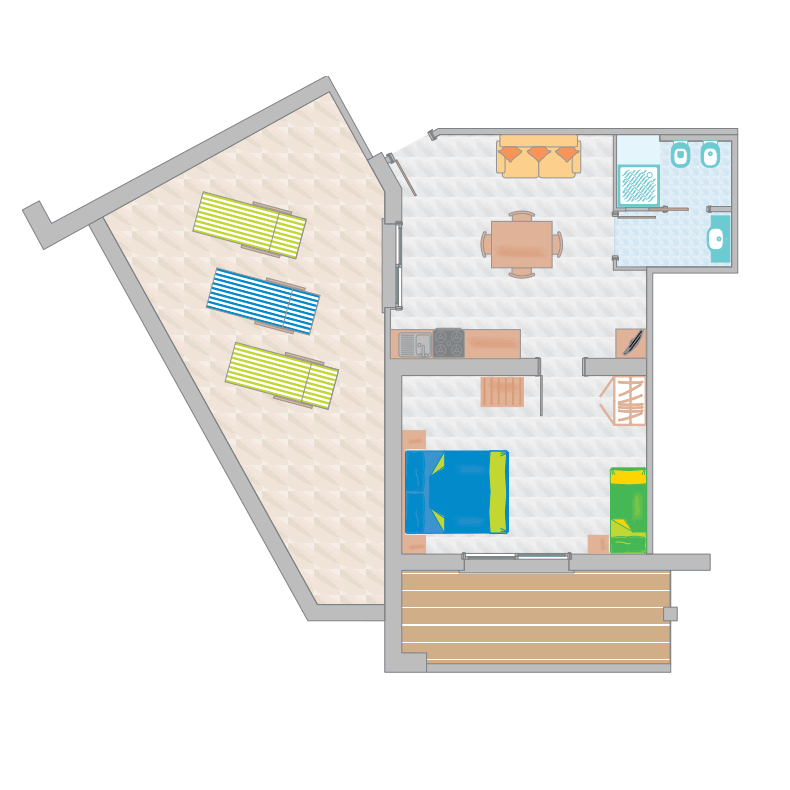 With room for up to 5 people, it is also the perfect solution for those families wanting to enjoy the pleasures of their holiday to the utmost, without giving up on their own moments of privacy and relaxation. 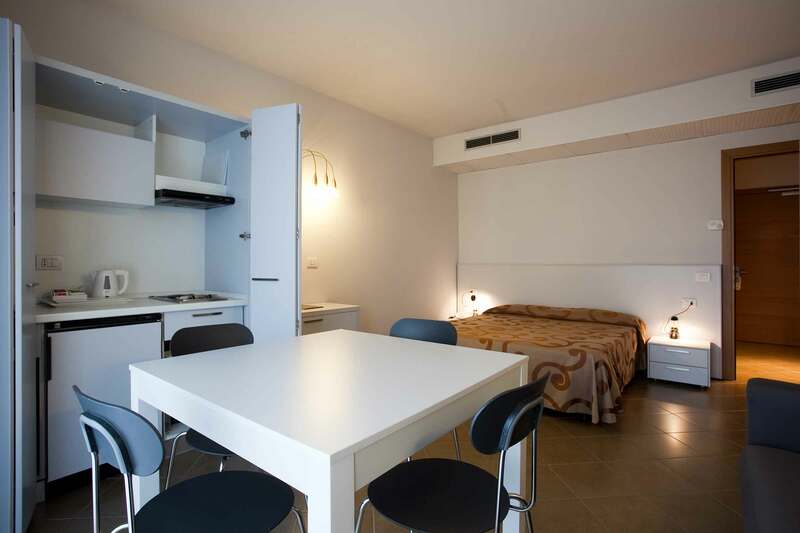 A third bed and double sofa bed available, to be requested at time of booking.